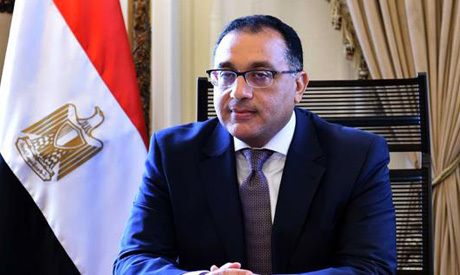 Egypt’s Prime Minister Mostafa Madbouly held a meeting on Tuesday to review an outline of the 2019 draft state budget with the ministers of finance and planning and their deputies. Finance Minister Mohamed Maait said that the draft budget pays significant attention to strengthening human development and adhering to the objectives of the government’s programme regarding priorities in health and education, while taking into consideration debt and deficit reduction targets. The prime minister stressed the need to adhere to the government's intention to reduce spending and the budget deficit, taking into account the volume of the government’s investments. Madbouly called for an increase in these investment allocations in light of their pivotal role in advancing development efforts and upgrading infrastructure, facilities and services. The Egyptian government is seeking to reduce government debt from 108 percent of GDP in 2017 to about 98 percent in 2018, then to 79.4 percent in 2022, a statement by the finance ministry said in November. The 2019-2020 draft state budget aims to bring down the total deficit to 7 percent of GDP compared to 8.4 percent in the current fiscal year, which ends in June 2019, the ministry said. The draft budget aims for GDP of around EGP 6.2 trillion with growth hitting 6.5 percent in 2019/2020, according to a statement issued by the finance ministry on the 2019/2020 fiscal year state budget. Bringing down the debt will contribute to boosting the competitiveness of the Egyptian economy through reducing inflation and interest rates, a step that will support private sector investment and create real and sustainable job opportunities, according to the statement.